The Professional Regulation Commission (PRC) announced January 2014 Architect Licensure Examination (ALE) or architecture board exam results in 5working days after the exam. Complete list of passers, top 10 (topnotchers), top performing schools and performance of schools are available here as officially released online. 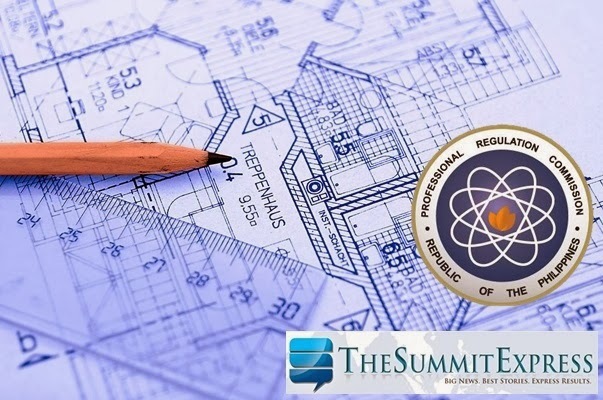 The Professional Regulation Commission (PRC) announces that 793 out of 1,442 passed the Architect Licensure Examination (ALE) . The examination was conducted on January 17 and January 19 in Manila. The Board of Architecture who administered the exam is headed by it’s Chairman, Arch. Rolando L. Cordero with two other members, Arch. Yolanda D. Reyes and Arch. Fidel Jose R. Siapno. January 2014 Architecture board exam covers the following subjects: history and theory of architecture, principles of planning, architecture practice, utilities systems, structural conceptualization, building materials and construction (January 17) and architectural design and site planning (January 19). In the same period last year, the agency released ALE results after eight (8) working days. 816 out of 1,557 new architects were named by the agency. In June 2013 exams, results were released in four (4) working days after the last day of examination. 901 out of 1,767 passed the Architect Licensure Examination (ALE). In January and July 2013, none of the schools have been qualified for the top performing school rank per commission resolution No. 2010-547 series of 2010.